To mark International Women’s Day (IWD) on Wednesday 8th March 2017, PwC has released a new report – Winning the fight for female talent: How to gain the diversity edge through inclusive recruitment –which looks at what employers can do to attract and retain female talent and underscores the importance of embedding diversity and inclusion into the employer brand. Organisations are using innovative programmes to attract key female talent. For example, returnship programmes are proving to be a successful bridge for talented professionals to return to work after an extended career break. Over a quarter (28%) of employers have already adopted a formal returner programme, and a further 25% are currently exploring this opportunity, suggesting employers are recognising the potential of these programmes. To find out more about PwC’s IWD activities and to download Winning the fight for female talent: How to gain the diversity edge through inclusive recruitment, visit http://www.pwc.com/femaletalent. The report is based on a survey of 4,792 professionals from 70 countries (3,934 women and 845 men), as well as a survey of 328 executives with responsibility for diversity or recruitment in their respective organisations. 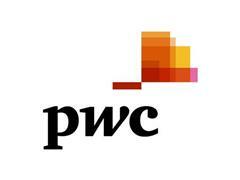 More thoughts on diversity can also be found on PwC’s Gender Agenda blog. PwC is committed to promoting diversity and inclusion and has a range of programmes in place to make progress on the issue. These include Aspire to Lead: The Women’s Leadership Series, a global forum on women and leadership for students around the world. PwC has also partnered with the UN Women’s HeForShe campaign, which aims to mobilise one billion men and boys as advocates and agents of change in ending the persisting inequalities faced by women and girls globally. To read PwC research on the Millennials, take a look at The female millennial: A new era of talent; Next Generation Diversity: Developing tomorrow’s female leaders; Millennials at work; and PwC’s NextGen: A global generational study. To read more PwC research on female talent, take a look at Modern mobility: Moving women with purpose.